One thing is common with most Nigerians when faced with difficulty, find a way. 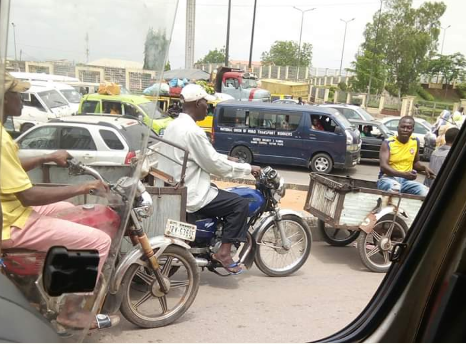 For those who live and do business in Onitsha, Anambra State, it's common knowledge that Okadas have been ordered to stop operation in Akwa and Onitsha. The enforcement came into effect on July 1. 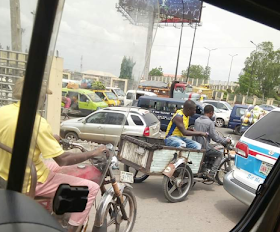 To stay in business, Okada men are now transforming their bikes into tricycles. In a statement by Gov. Willie Obiano's press man, James Eze, the decision was one of the resolutions the state executive council members took to deal with bike-related crime and restore sanity. Did You Think Government Took a Good Decision?? For my part gov can not build a city by terminating the subjects sources of livelihood, subjecting them to abject poverty.